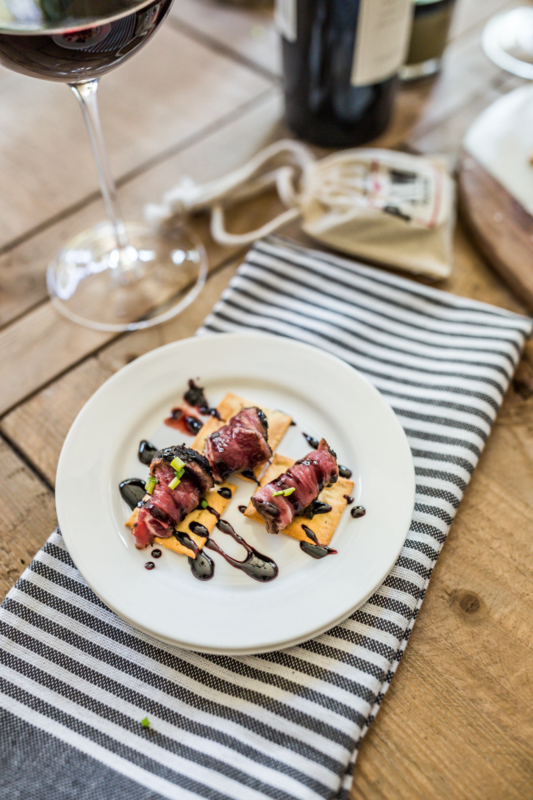 Indulge your culinary senses with this delicious Prime Pairings recipe of Lamb Carpaccio Crostini topped with Blackberry Balsamic Reduction. While the recipe name sounds like it belongs on high-end restaurants appetizer menu (and it does! ), this was quite simple to make right in your home kitchen. 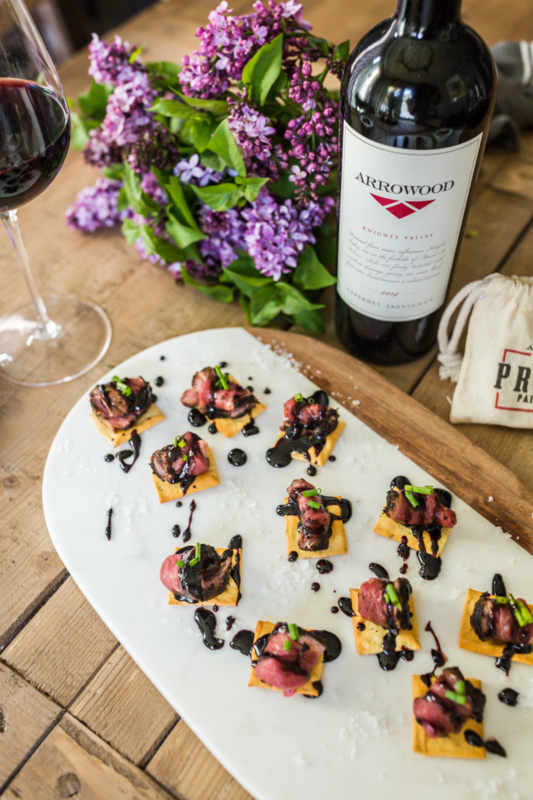 The star of the show is the lamb carpaccio that is perfectly seasoned from the Arrowood Sonoma Spice Blend and pairs wonderfully with a bold wine like their Knights Valley Cabernet Sauvignon. I’ve learned that by simplifying dishes really allows the ingredients to shine! Heat a cast iron pan over medium high temperature. Add 1 tbsp of olive oil and let heat. Meanwhile, apply a small amount of olive oil to the lamb loin and spread using a basting brush. Sprinkle spice blend over all sides of lamb loin and pat to ensure seasoning sticks to the meat. 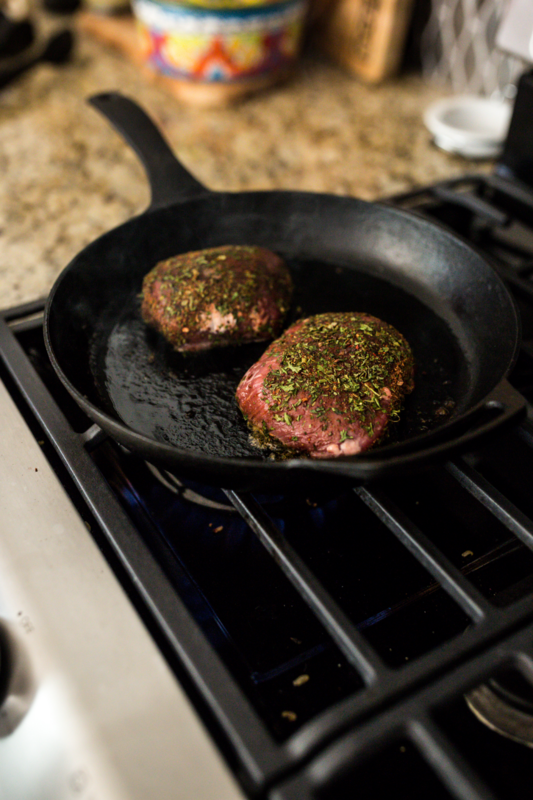 Using tongs, carefully transfer lamb loins to the hot cast iron pan. Sear for 1 minute on all sides. Do not overcook, you are simply wanting to sear the outsides to create a crust. Transfer to plate and let cool inside the refrigerator. This will help you slice it very thin. 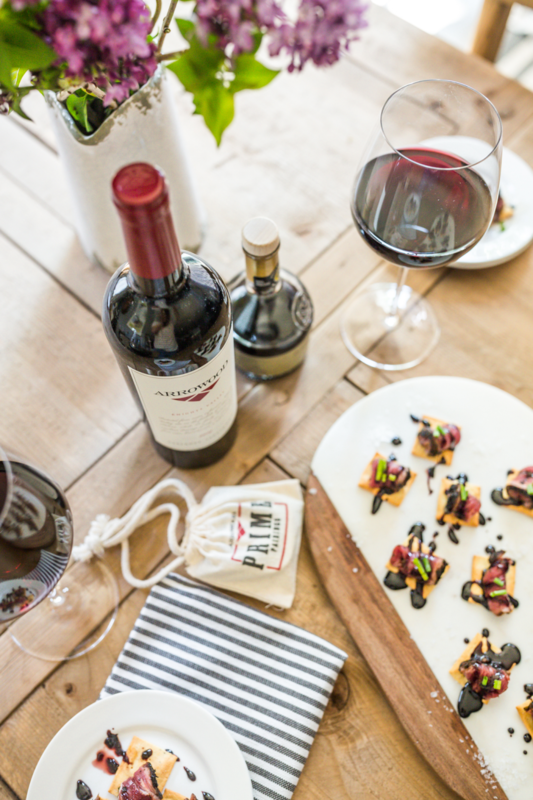 While the lamb loin is cooling in the fridge, prepare the blackberry balsamic reduction. In a saucepan, add 1 cup of water and 6oz of fresh blackberries. Macerate the blackberries with a wooden spoon and let cook over a boil for 8-10 minutes. Pour mixture through a fine colander into a bowl and then transfer back to the pan. Add the balsamic vinegar and bring to a boil for another 5 minutes and then simmer for an additional 10 minutes. Be sure to keep stirring until you achieve the desired thickness. In the meantime, once lamb has cooled, slice VERY thinly and roll to small pieces that will be placed on top of crostini or crackers. 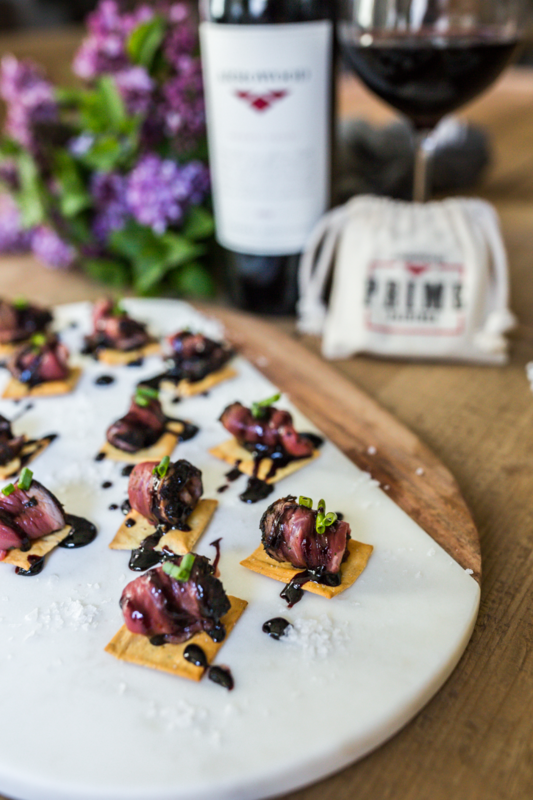 Drizzle with blackberry balsamic reduction and garnish with fresh chives. Pair with Arrowood Knights Valley Cabernet Sauvignon. What I love most about this dish is the combination of the seared lamb loin with the blackberry balsamic reduction. 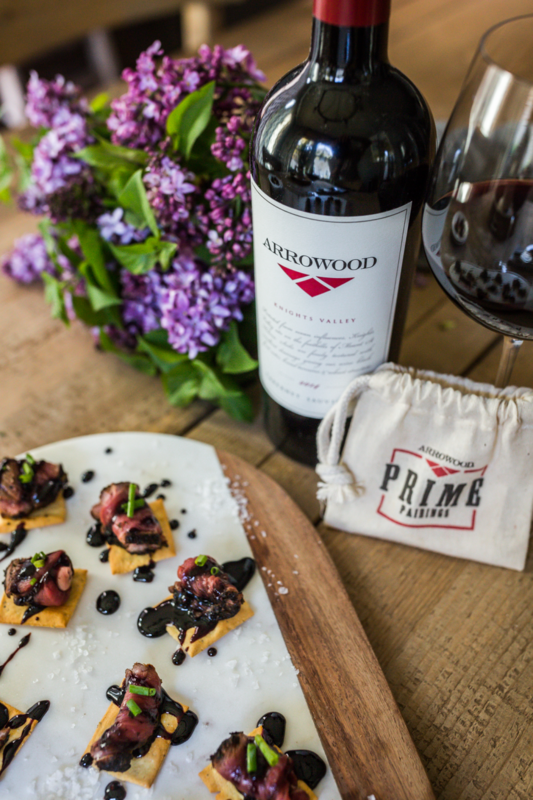 The acidity of the reduction pairs wonderfully with the spice notes from the Arrowood Sonoma Spice Blend. 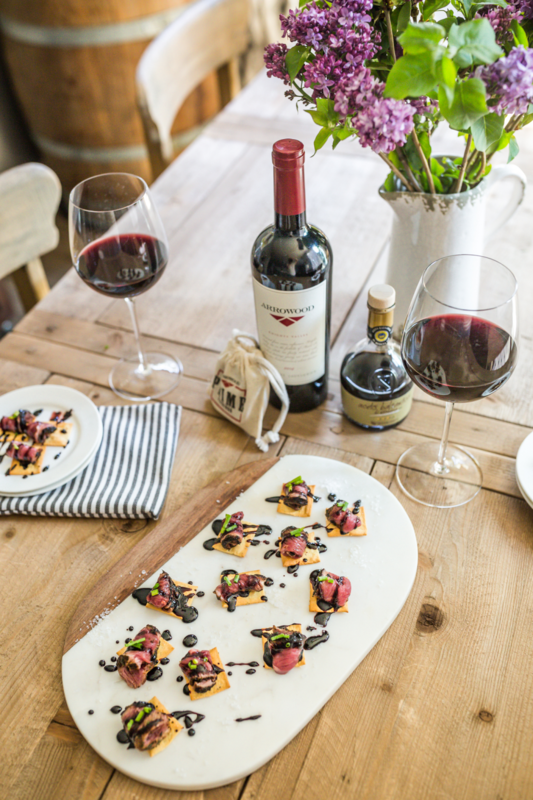 This is the type of crostini recipe that you and your guests will keep coming back for more! As a home chef with no culinary training, this recipe truly isn’t hard to create. You end up letting the flavors of the spice blend and the blackberry reduction do all the work and your hardest job is to serve it up for your guests to enjoy. 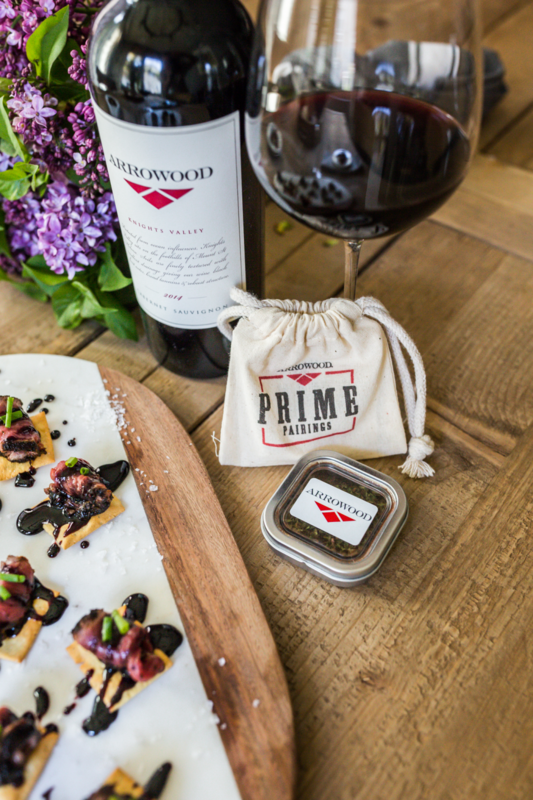 Cheers to simple, yet incredibly flavorful prime pairing recipes!